Please add name and years. 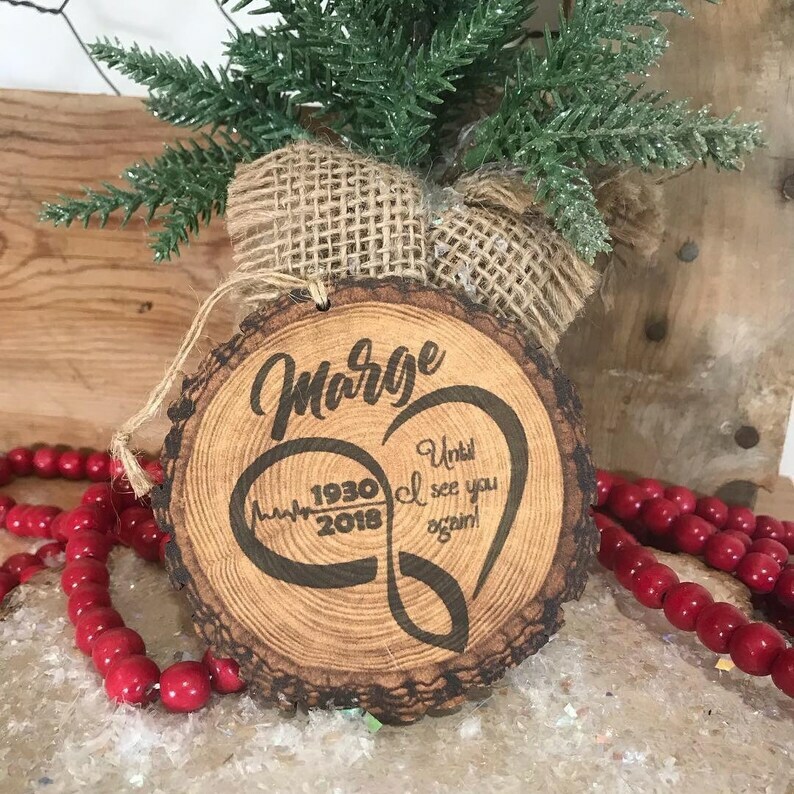 This handmade Memorial ornament features an infinity heart with the quote Until I see you again and birth and death dates. Ornaments are the perfect customization gift to remember loved ones. 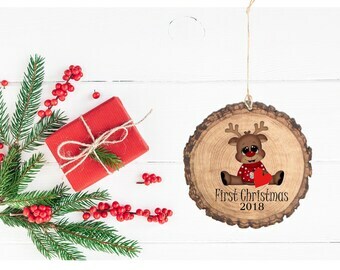 This Wood Style Round Ornament includes a robe string for hanging. This MDF Ornament measures 3.75” x .25” thick. Printed on ONE side with sublimation ink so the design is permanent ! 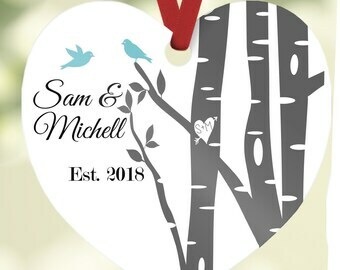 *This ornament is made to look like wood but is a sturdy MDF that will last years to come. 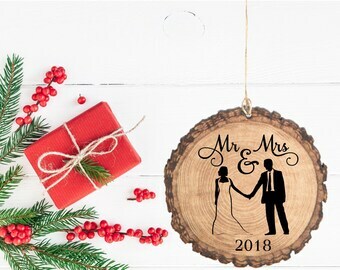 The first photo is a mock-up to appear brighter for marketing purposes....image has a lovely vintage faded quality, please view all photos for actual ornament. 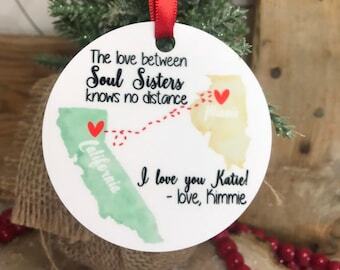 These are handmade and each ornament will vary in print slightly....but will still be clear and readable. Please allow 2-6 days for production. Ships via 2-3 day first class mail.